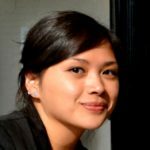 Suzette Llacer, HBSc, MPH is a Toronto-based public health professional with a passion for promoting health, health communication and healthy policies. An advocate for youth mental health, she currently dedicates her time and skills to several mental health non-profit organizations including the Partners for Mental Health and the Canadian Body-Focused Repetitive Behaviours Support Network. Alongside promoting health and doing community-level work, she has also been involved in and responsible for organizational development, resource development, stakeholder engagement, research and analysis, as well as strategic planning. Prior to receiving her Masters in Public Health from the University of Guelph, she completed her undergraduate degree in Genes, Genetics and Biotechnology from the University of Toronto-St. George. Having been a part of several organizations, from the Women’s College Hospital to Public Health Ontario, her experience ranges from work in clinical research to social science/health promotion research, as well as policy and health communication. When she’s not immersed in the world of mental health, Suzette is interested in improving the science-to-policy interface, using social media to improve health communication on topics like nutrition, offering her research and creative skills to non-profit organizations, and running/walking with her Labrador Retriever.